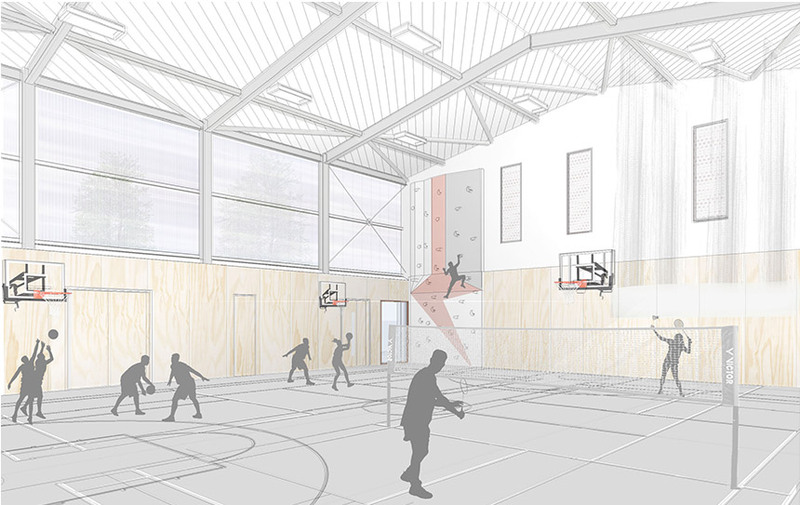 This project for the Mill Hill School Foundation replaces an existing tired and fire damaged gym with new high-quality facilities. 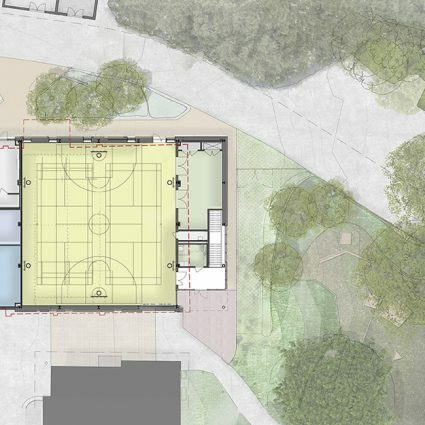 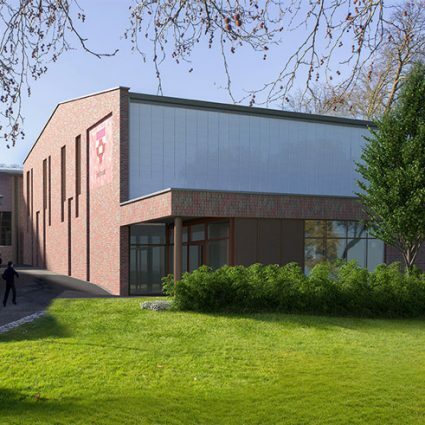 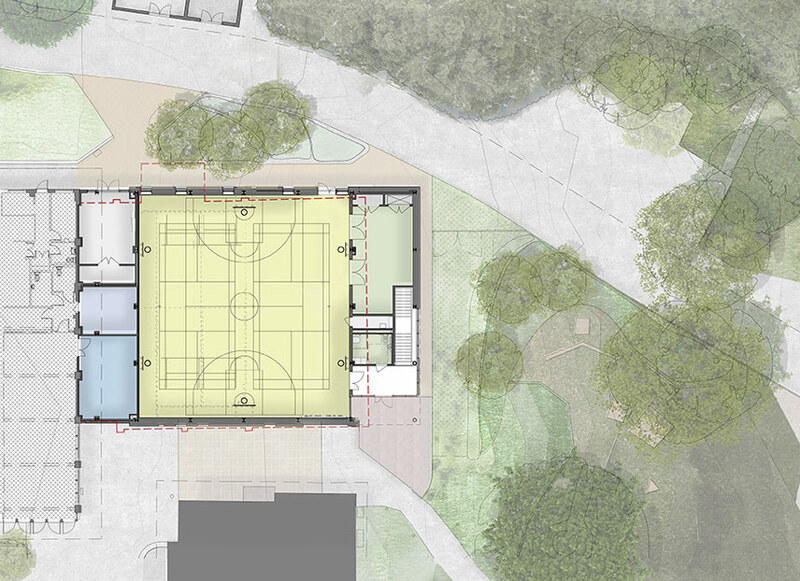 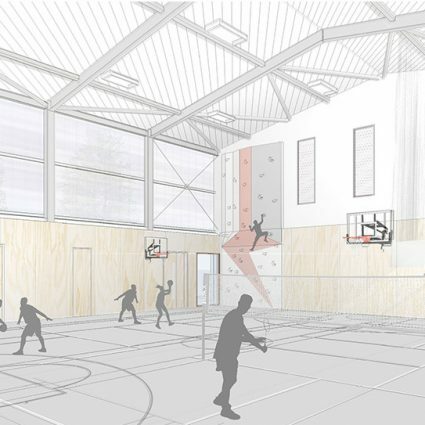 The new hall is double the size of the current sports hall and an increased internal height meets Sport England guidance. 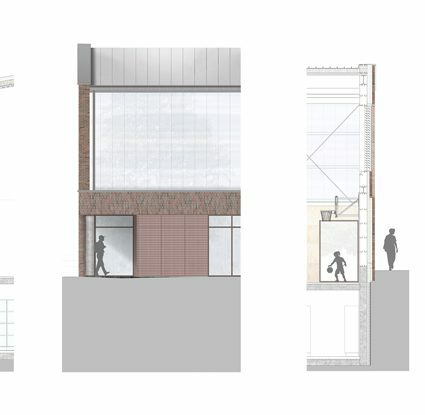 The existing topography of the site is exploited to ensure that the massing is consistent with its surrounding context within the Mill Hill Conservation Area. 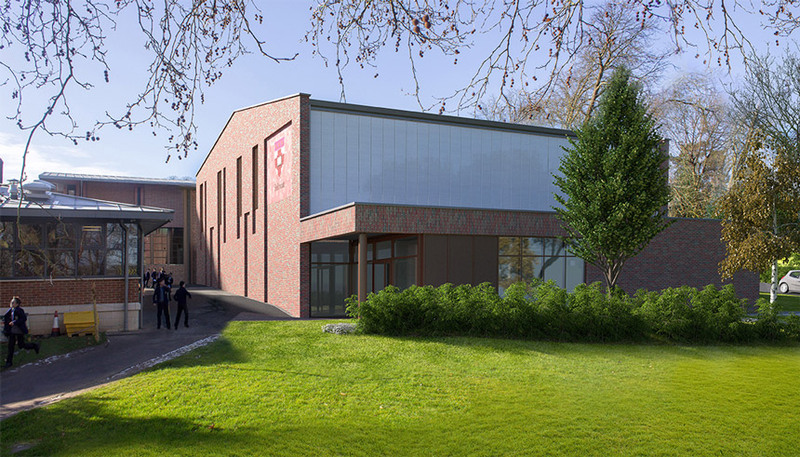 A red brick palette, with recessed vertical slots screening the passive ventilation system, echoes the existing buildings whilst a high-level polycarbonate façade provides diffused daylight into the hall.